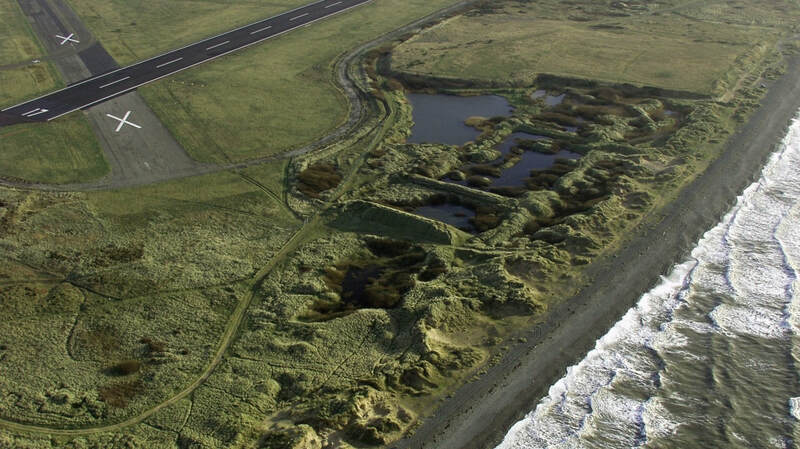 An Art Gene project on Walney Island North Nature Reserve exploring a WWI rifle range and practice trenches. 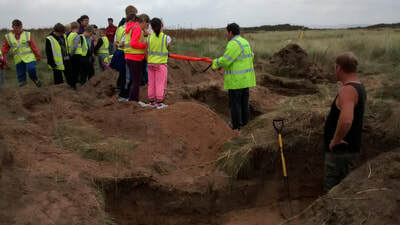 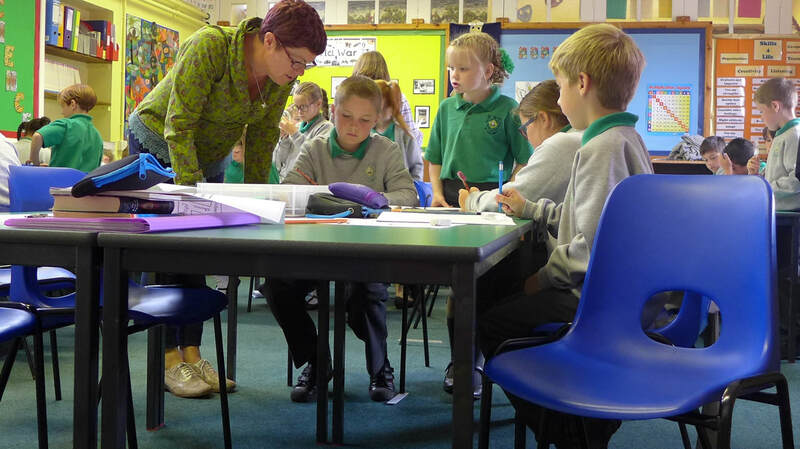 - School 2 - St Columbas - forced to stay in because of threatening heavy rain, the children looked at the dig site photos, maps and other information relating to WWI and the nature reserve site. 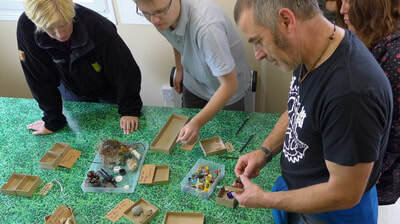 Drawings, words and making books formed part of their full day workshop responding to the archaeological dig and processes.